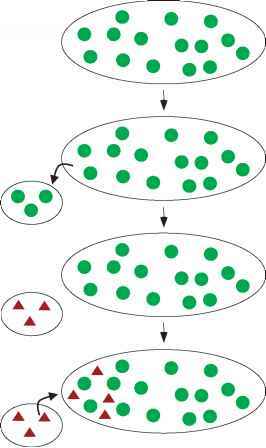 The phenomenon of diversity is a basic property of any forms of matter, being observable via the locally stable state of particles (elements). The behavior of a set of particles in space of their material properties follows the principles of nonequilibrium dynamics. Living matter, unlike abiotic substance, expands its thermodynamic possibilities via a search for structures that use spaces with increasing volume and dimension and, accordingly, with a high flow of energy. Evolution of abiotic substance obeys the second principle of thermodynamics - the growth of entropy as a measure of disorder. Evolution of living matter obeys the opposite growth of order, also upon increase in the total entropy, that is, upon self-organization in Foerster's opinion. See also: Average Taxonomic Diversity and Distinctness; Biodiversity; Shannon-Wiener Index.